The incredible journey of sanity lost and found. 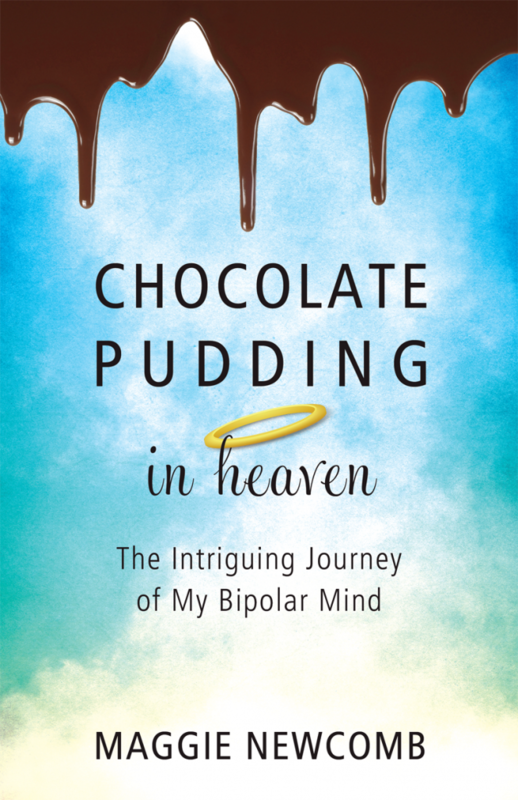 Maggie Newcomb had not just one, but three serious mental breakdowns, and in Chocolate Pudding in Heaven, she takes you along on her candid journey from chaos and madness to stability and joy. Diagnosed with bipolar I disorder in her teens, Maggie cleverly reveals the mystery of the human brain as she recounts her last manic episode that began in amazing bliss, and then destroyed the life she had worked so hard to create. After being hospitalized and medicated, she is thrown back into reality, left to pick up the pieces of her broken life. With dignity and foresight, Maggie gives you a glimpse into the true story of one person’s struggle with mental illness. Through humor and compassion, this inspiring book shows that although the terrain of mental illness is not easily navigated, it can be crossed, and when you can get past the pain there is a beautiful life waiting…or at least some really good chocolate pudding. Maggie Newcomb speaks about mental illness acceptance and mental health recovery. She draws from her 21 years of experience in treating her own bipolar disorder. Although this topic can be extremely difficult, Maggie finds a way to speak about these issues in a way that entertains, informs, and inspires. How Do We Talk About Mental Illness?